Ownership / Access: Rutland County Council. Notes: Oakham Castle, in Oakham, Rutland, was constructed between 1180 and 1190 for Walchelin de Ferriers, Lord of the Manor of Oakham. The Castle is known for its collection of massive horseshoes and is also recognised as one of the best examples of domestic Norman architecture in England. Admission to the castle is free. Owned and managed by the Rutland County Council, Oakham Castle is licensed for civil ceremonies. The Castle is temporarily closed until March 2016 as work continues on a extensive restoration of the Castle, including the curtain wall. 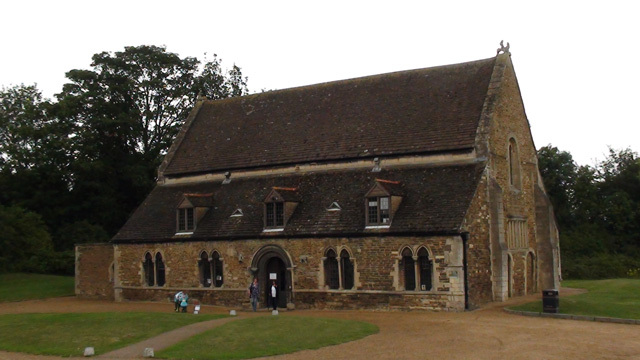 Oakham Castle was awarded a 2.165 million grant from the Heritage Lottery Fund in 2014 following a joint bid by Rutland County Council, Oakham Town Council and the Friends of Rutland County Museum.